There are 2 posts tagged Scrim (this is page 1 of 1). Scr.im Email Saver Plugin for WordPress v0.1 Released! 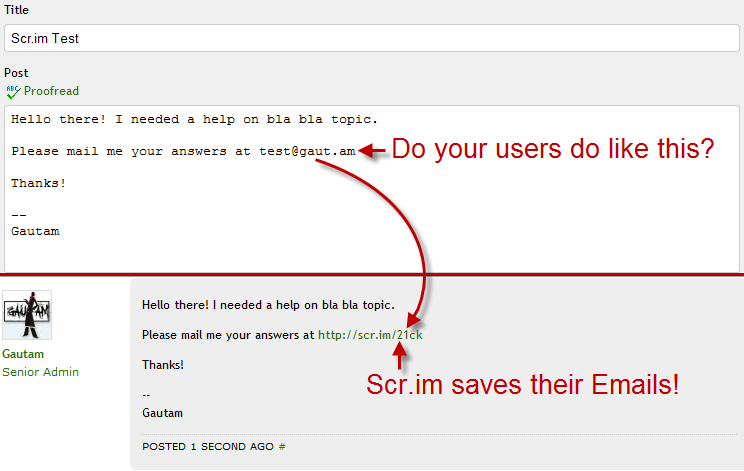 Scrim Email Saver Plugin v0.1 for bbPress! I have just released a new plugin named Scrim Email Saver v0.1 for bbPress! The plugin basically filters your bbPress forum’s posts for email IDs posted by your users and converts them into scrim links so that they are not picked up by bots and your users receive less spam (if not none).